And while these changes are bringing us all types of new ways of doing things, people are typically afraid of the new and the different. Our brains just hate to change. Needless to see, the pain exceeds the pleasure. But, whether it is social media or blockchain, AI or IoT, the changes are upon us. In this podcast, we are going to help you relax and enjoy the changes, because you will see how they can really help you solve the problems and challenges all around you. In 2008, Warren wrote the first book on Twitter and Mobile Marketing, ("Twitter Revolution: How Social Media and Mobile Marketing is Changing the Way We Do Business & Market Online") and the bestselling “Profitable Social Media: Business Results Without Playing Games.” Named one of Forbes’ Top 10 Social Media Power Influencers of 2013, Warren hosts Social Media Radio and speaks frequently about social media marketing, online publicity and marketing, social networking, and building lifetime value for rapid growth. Warren helps businesses successfully shift to a new way of doing business using 1) social media and 2) online marketing and promotion to attract the right audience from the billions of people using the internet at any given moment. His breakthrough strategies to integrate mobile marketing, public relations and lead generation with conversions to ROI for lifetime value have helped hundreds of businesses achieve rapid and continuing results from their marketing process. Perhaps he can do the same for you and your business! 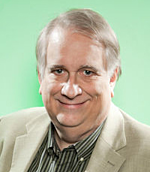 Connect with him @WarrenWhitlock, where he engages in individual discussions and answers questions daily. Warren's books: "Twitter Revolution" and "Profitable Social Media"